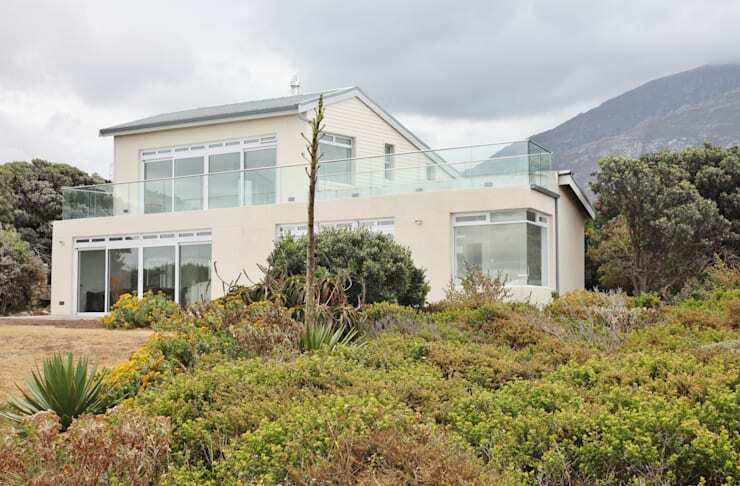 Today’s segment comes to us from Rudolf Henning Construction in Betty's Bay, Cape Town, who was tasked with the upgrading of a heritage home near the beach. The catch? The house was already built in 1939, meaning that everything from style and wiring to layout and plumbing was a bit… how shall we say… old! 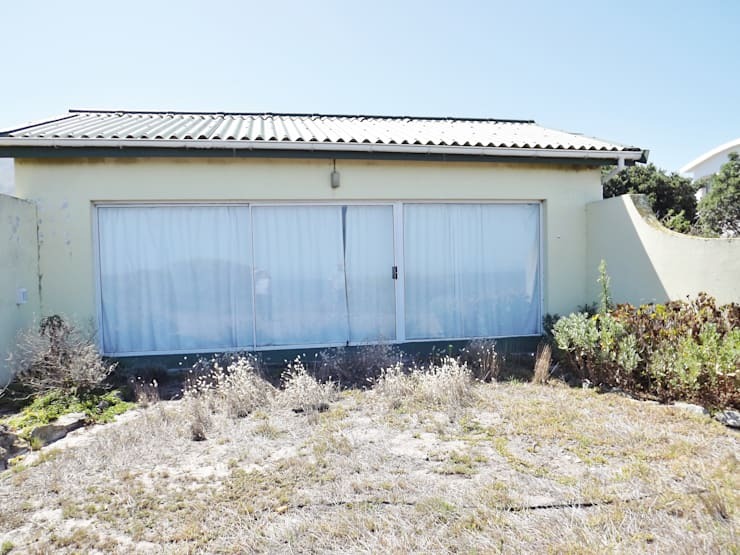 We are sure this exterior façade was all the rage when it was built in the late 1930s, but trends have moved on with the times – now it just seems dull and uninspiring. Plus that yard has definitely seen better days! Now this is more like it! More space (via the new top floor and balcony) and a whole new look have catapulted this dingy old structure into a look-at-me abode. We love the fact that the style is modern yet not too sleek. If this is what the heart of a home looks like, there’s something wrong. Sure, the warm-toned wooden cabinets might have potential, but are dragged down by those very outdated hardware – and just about everything else in this kitchen! So much better! This sleek-white colour palette makes this kitchen look super neat and oh-so welcoming (love that island that visually separates it from the rest of the open-plan layout), while the warm wooden look moved on to the staircase around the corner. 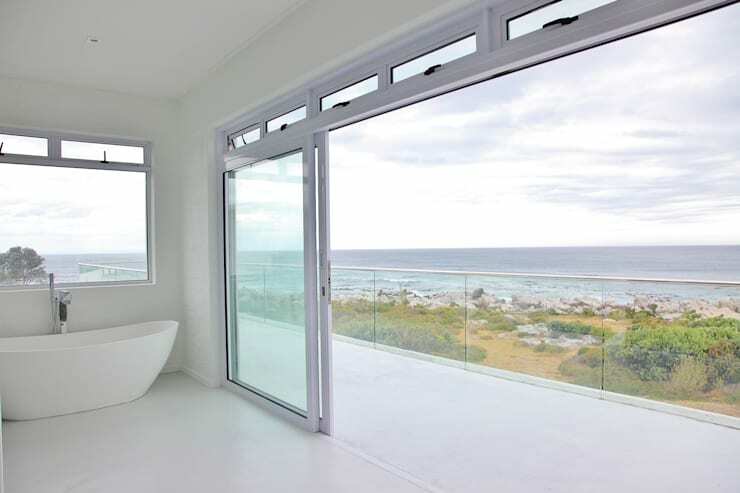 A dream bathroom, for sure – and yes, that magnificent view is one of the main reasons we say that! But in addition, there’s no denying the fabulous appeal of that generous sliding door, the sleek-white flooring and that dreamy free-standing tub! 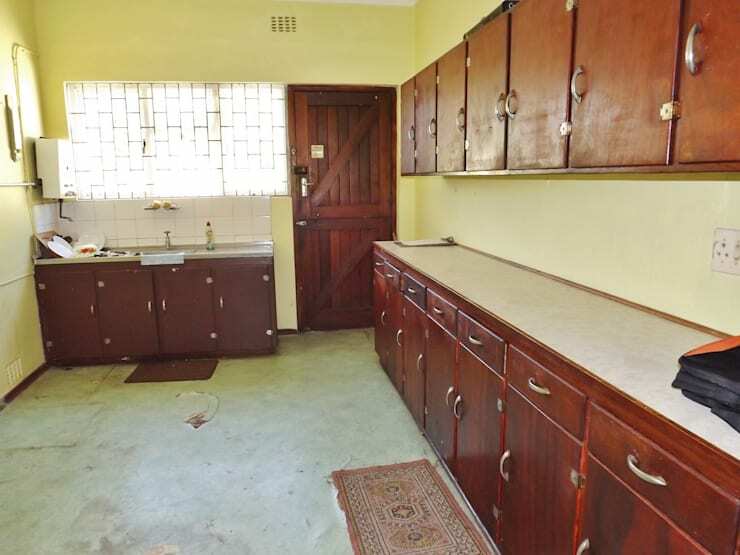 For another dreamy makeover project, see A Johannesburg home renovation. 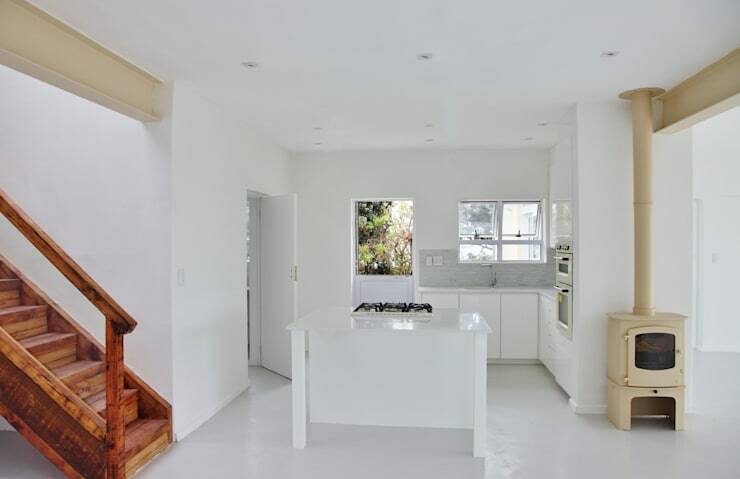 Love it or loathe it – what do you think of this house’s makeover?